Home » Why Good Employees Quit and How to Stop It? 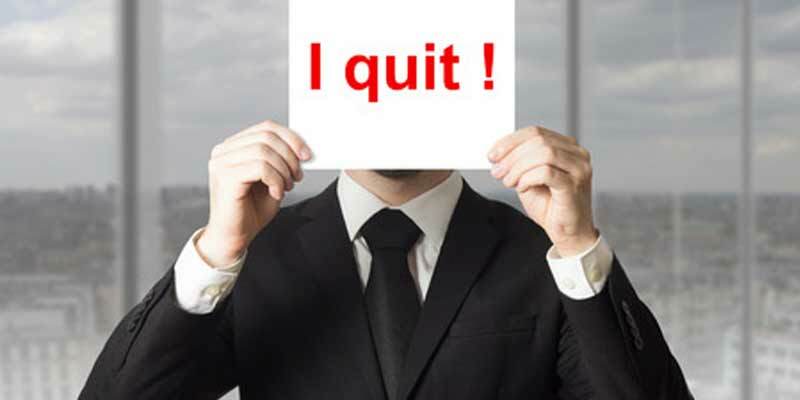 » Blog » Why Good Employees Quit and How to Stop It? What’s one thing that keep managers up all night? The fear of losing good employees. We all know, Job hopping has become a norm today. Employees don’t hesitate to quit their current employer, if they are around situations or people they dislike. 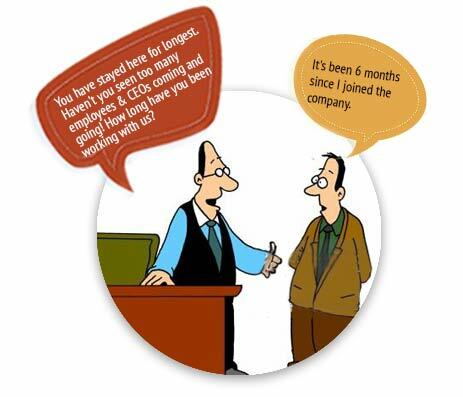 The above conversation highlights the need of a good employee retention plan. Understand the needs of employees and try to retain them. With the arrival of Millennial workforce, this trend of job hopping seems to be increasing at a rapid rate. A study revealed that Millennials are two times more likely to change their jobs through a lifetime, as compared to baby boomers. On the other hand, the cost of employee turnover is immensely high. Center for American Progress has found that the average cost of replacing an employee is about 21% of their current salary. The most important question here is – Why do Good Employees Quit Their Jobs in the first place even when they totally like the workplace and what can be done to stop this? If your organization is facing a similar dilemma, you surely need to give a quick read to the following suggestions. It is a challenge to understand the reasons an organization is unable to attract top talent and retain them for the longest span. Perhaps, some people leave their current employer for better job opportunities. But mostly, it is the rule-driven and non-flexible work culture that becomes the main cause of their exit. A work environment where employees do not feel inspired to perform better and contribute to company’s success isn’t the right place for top performers. Such instances lead to their early exit in search of better opportunities. What’s left behind is a pool of average performers who work (mostly, for the paycheck) to give average business results. Are my employees satisfied in their current job role? Do top performers in my team feel happy working here? Will they stay with the organization for next three years? What can I do to retain them for long? Running these thoughts in mind would surely get plethora of great retention ideas. Winning war for top talent and retaining employees isn’t easy, but it is POSSIBLE. We assume that our workforce is very much engaged and would remain loyal. This might be true, but not always. There are times when star performers may also feel disengaged. Lack of enthusiasm and low morale are the common symptoms. There could be several reasons for disengagement. A 2009 Corporate Executive Board survey found that 1 out of 3 high potential employees do not put their 100 percent effort into a job, due to low engagement level. How to engage them? Managers or the leadership must double or triple their efforts to increase engagement level. It means continuously aligning their goals to corporate objectives, providing ongoing performance feedback, recognizing their achievements as early as possible, running merit-based programs, and making employees a part of company’s biggest challenges. The best thing an employer can offer to employees is opportunities to develop skills and grow professionally. Employee development should be the focus. Mentoring and coaching your people is critical to one’s success. Experts advice to align training programs with employees’ current abilities and future plans. Encourage skill development and support growth to make it a win-win situation. Employees are more likely to stay with organizations where they see scope of improvement and growth. Employees stay loyal with an organization where their expectations are met. Do you know what your top performers think and expect from you? If not, you are not alone. Many employers don’t know where to start. A SAP / Oxford Economics study found that employees value competitive compensation, merit-based rewards, retirement plans, training, flexible work locations and schedules, vacation time, family benefits, education, and personal recognition from higher ups. Ignoring basic needs of employees is where most of us go wrong. Not able to meet basic expectations clearly means that you are giving your counterparts a fair chance to whisk away your top talent. Well, that doesn’t sound good. Relationship builds a business. The success of a business does depend on the performance of your top performers. But do these performers feel valued? Sharing your company’s vision, keeping the lines of communication open and treating them with respect and dignity ensures a sense of being valued and cared for Managers need to go an extra mile to thank their team members for making valuable contributions in achieving team goals. A bonus or a pay-raise is a common thing. Every employer does that. Be different and try to publicly appreciate employees’ contribution. It can be done through company’s social media platform. Do not take employee efforts for granted. A feeling of being appreciated and valued results in low turnover rate. You must have heard this phrase before. But it’s time to act. Stop making meaningless rules in your workplace. Or abolish them before your good employees walk out of the door. » Make employees accountable for work. They would do fairly well, if they don’t have to go through multiple, complex approval process. Let them take work related decisions on their own. » Stop micromanaging top performers. Approval on everything makes them feel that you don’t trust their ability to work and make judgements. » Ranking and rating is an old approach. Forget it completely. Start fresh and create a culture of continuous feedback and growth. » Inflexibility in work hours often become a cause for employees’ exit. Let people set their own work schedules (unless your business demands everyone to work in definite time slots). Work-life balance is must to retain good employees. Retaining top performers isn’t rocket science. The above recommended tips would help you create a better work culture. Know what works best to retain good employees from quitting jobs at your workplace.